Since winemaker Thomas Brown’s start as the consulting winemaker at Revana in 2011, we’ve tasted a subtle difference in the style of how he finishes the Cabs and this 2015 is a great example of his ability to blend and help produce a complete wine. 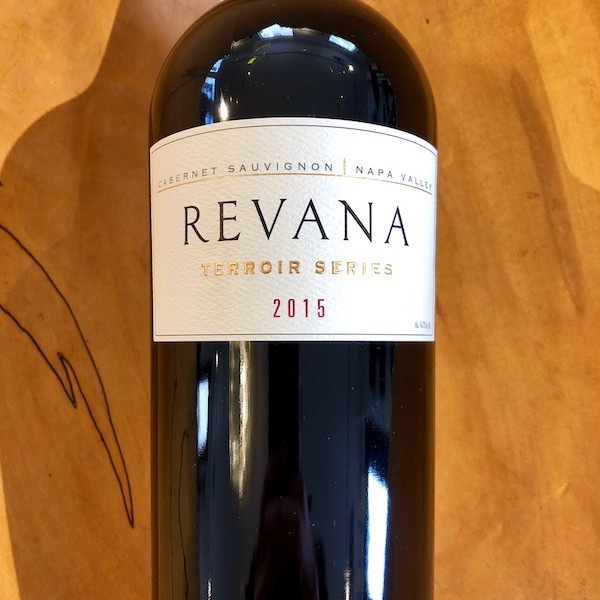 This 2015 comes from selected vineyards in St. Helena, Calistoga and Oak Knoll and in the glass, is “strikingly vibrant, featuring complex flavors, innate balance and pure dark berry, spice, licorice and light oak shadings, with a long, lingering finish.” Revana began when Dr. Revana immediately sensed the property’s potential upon first seeing it in the late 90’s. The area was already known for producing some of the world’s most sought-after Cabernet Sauvignon and the property’s gravelly soils, sloped pitch, and excellent exposures seemed perfect for growing grapes. Studies of the soil composition confirmed that it was an ideal location for premium Bordeaux varieties. In 1998, Dr. Revana hired acclaimed vineyard manager Jim Barbour to plant and maintain the 9-acre estate vineyard.